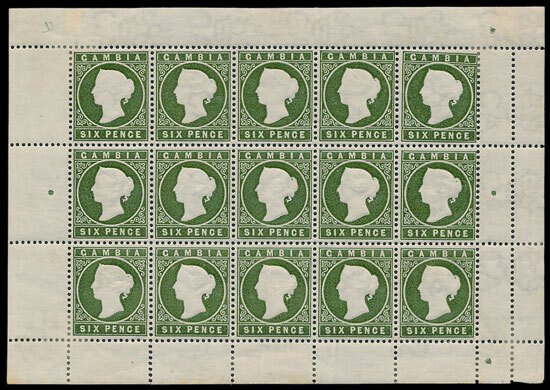 There were some valuable British Commonwealth collections and rare items on offer in the July stamp auction. 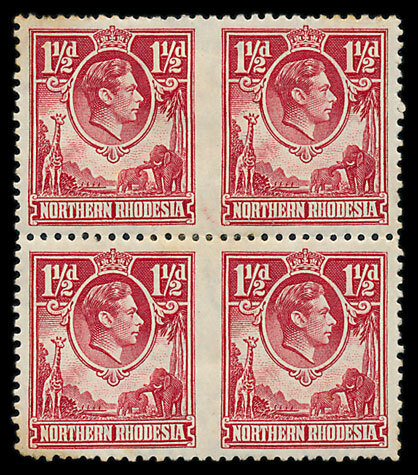 A Northern Rhodesia 1938-52 1½d imperforate block of 4, described as ‘one of the great rarities of KGVI philately’, sold for £3,540. A Nigeria 1939 set to £5 sold for £740. 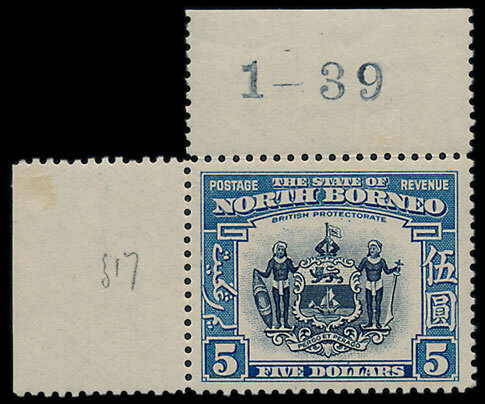 A Gambia 1880-93 collection of issues in 44 panes of 15, some with varieties, proved to be popular. 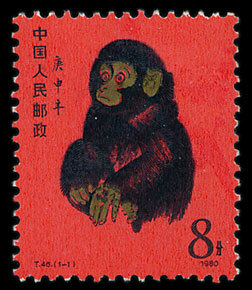 Offered in the catalogue for £1,000, the collection sold for £3,900. 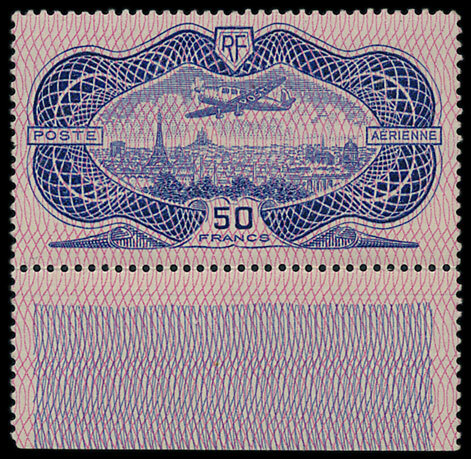 A French 1936 Banknote 50f sold for £260, and a China PRC collection, including a 1980 Monkey 8f, quickly surpassed the estimate of £350 to sell for £1,416. Described as ‘possibly unique’ an Italian Colonies Somaliland 1932-8 Lioness 25l perf 14 in a complete sheet of 60 failed to sell despite the quoted Sassone catalogue price of €210,000. 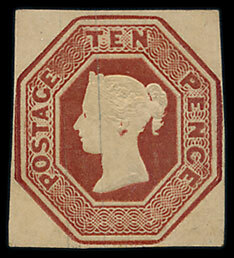 An 1840 1d black pl 1b strip of 3, est £550 sold for £1,090 and a 1847-54 10d achieved £1,120.